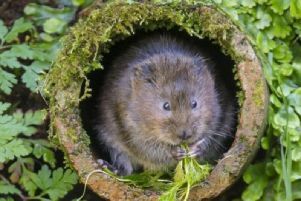 In response to a government petition which amassed 317,000 signatories the government have hit out at developers, reminding them of 'their legal obligation to consider the impact netting has on local wildlife and habitats. The government statement implies that 'netting' could be in contravention of the Animal Welfare act 2006. "Wild birds are protected by provisions in the Wildlife and Countryside Act 1981. It is an offence under the Animal Welfare Act 2006 to cause unnecessary suffering to a bird by an act, or a failure to act, where the person concerned knew, or ought reasonably to have known, that the act, or failure to act, would or be likely to cause unnecessary suffering." There has been widespread outrage recently as North Norfolk Council put up nets up at Bacton, to stop sand martins nesting in the cliff face. The RSPB said it was pleased some of the netting been removed, but more action was needed to help sand martins and it would be meeting the council for discussions this week. "In accordance with Natural England’s standing advice for local authorities needing to assess planning applications that affect wild birds, survey reports and mitigation plans are required for projects that could affect protected species. "Our revised National Planning Policy Framework also makes clear that planning policies and decisions should contribute to and enhance the natural environment by minimising the impacts on, and providing net gains for, biodiversity. "However, we plan to require developers to deliver biodiversity net gain, under new arrangements in the forthcoming Environment Bill. This will mean wildlife habitat must be left in a measurably better state than it was before any development."